We came into today’s match on the back of a 6 game unbeaten run but in the words of manager Gordon Herd, we had a “bad day at the office” and never really got going. Broughty started very strong and had numerous attempts in the first 25 minutes, with our ‘keeper Dean Shaw pulling off more spectacular saves again to keep us in the game. We started to get our game together after that and had a few attempts. 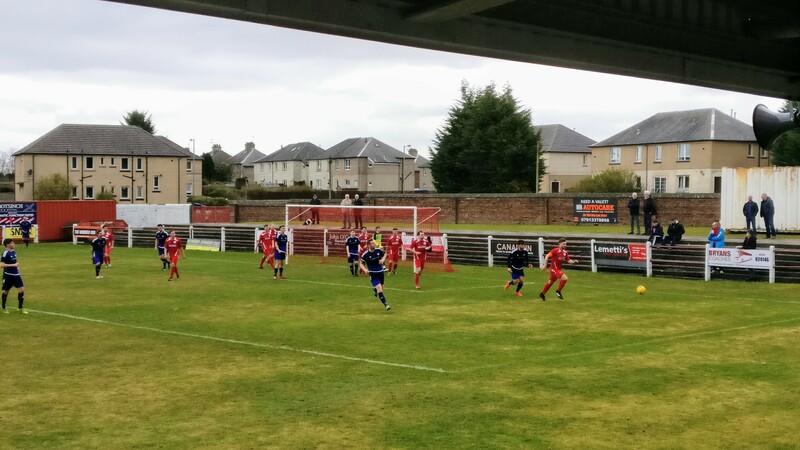 Then on 34 minutes, Craig Donaldson battled down the left wing and got a cross away that was met superbly on the volley by Alan Sneddon to net his 14th goal of the season. 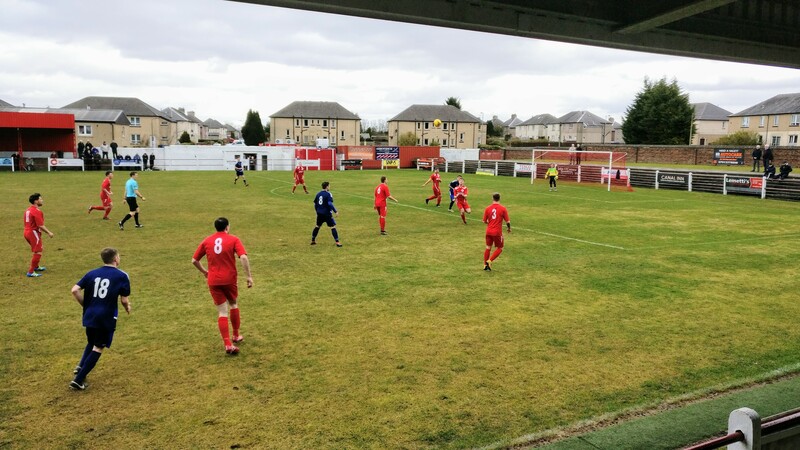 We continued to have the slight edge in a scrappy game, then on 41 minutes, the referee gave a dubious penalty to Broughty which Jordan Garden stepped up to take, sending Dean Shaw the wrong way for the equaliser. 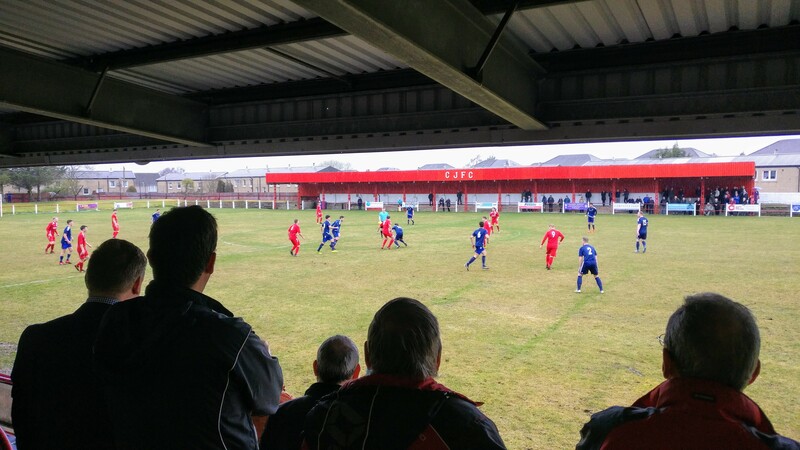 Broughty remained on top for the final few minutes of the half that eventually ended 1-1. The second half started as scrappy as the first half was with many missed passes, mistakes, and discipline issues on both sides. None of this was helped by the rain that started and continued for the rest of the afternoon. Just after 50 minutes had passed, Lewis Small was brought off to be replaced by Ross Cameron who put in a very strong shift for the rest of the game. Another change came on 67 minutes when Alan Docherty came on for Jordan Herron. However, after some sustained pressure, but also a run of suspected fouls that weren’t given to us, Broughty broke on 70 minutes and Kevin Milne scored. Broughty remained on top but there were moments of hope from the Mariners who continued to try to build momentum. This came to fruition on 81 minutes when, after what seemed to be a lost opportunity from a corner, Alan Docherty sent a searching cross into the box that was met by Greg Skinner who netted his second headed goal in consecutive games. Broughty’s hunger for the win was evident as, following the restart, they caught us napping and Jamie Winter was quickest to pick up a shot that rebounded off the post to restore the lead for the visitors. 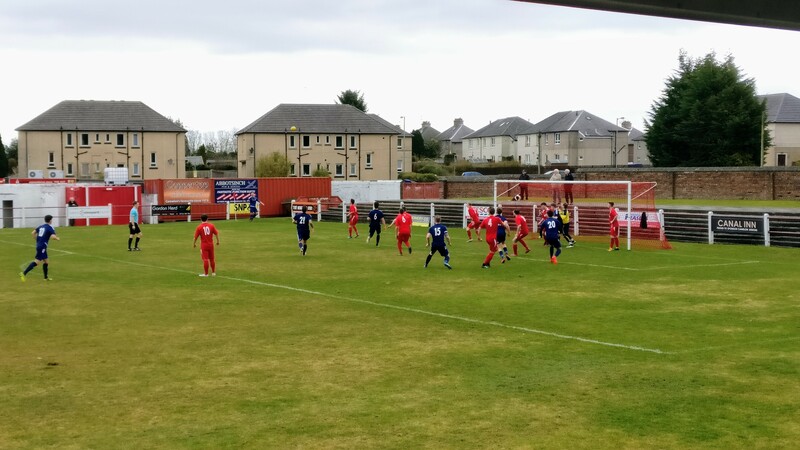 We then built the pressure up and kept Broughty pegged back for most of the rest of the game but despite numerous attempts we couldn’t find a way through. Even Dean Shaw came to the other end of the park for one of a series of corners but couldn’t make the difference. The final whistle went and a disappointing performance from the Mariners was brought to an end on the wrong end of a 3-2 scoreline. Notable performances today came from Dean Shaw and Ross Crawford, but the managers Man of the Match went to Alan Sneddon not just for his goal, but his strong work rate throughout the whole 90 minutes. The loss – our first in competitive matches since January – keeps us in 8th place in the league with 31 points from 22 games and a goal difference of -2. 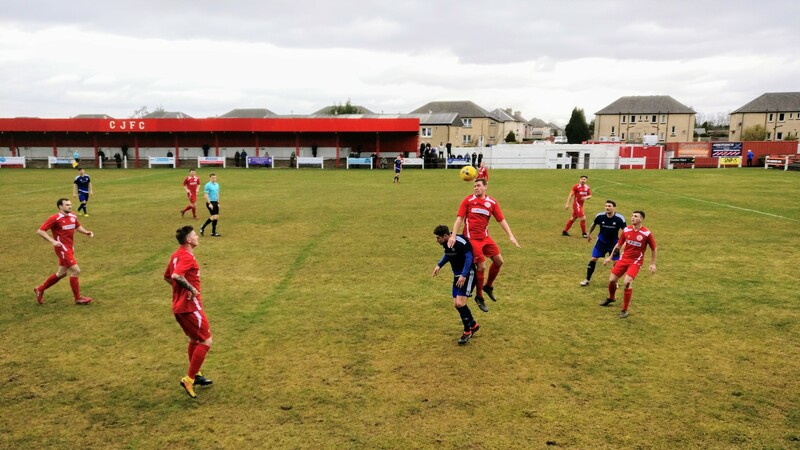 Next week, we welcome current table toppers and champions elect Bonnyrigg Rose to Carmuirs Park. So we put today behind us and regroup for a huge match. Hope to see you there for the 2:30pm kick off. Here’s some pictures snapped in the first half. Click to enlarge.